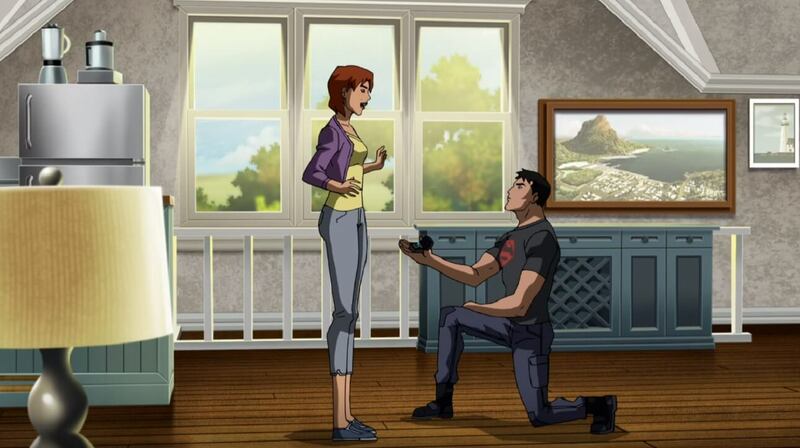 Superboy finally popped the question to Miss Martian in “Prince Ali”, and the answer was a most enthusiastic, “Yes!" It’s a moment fans who have been shipping these characters since Young Justice season 1 had dreamed of, yet it still took us by surprise. 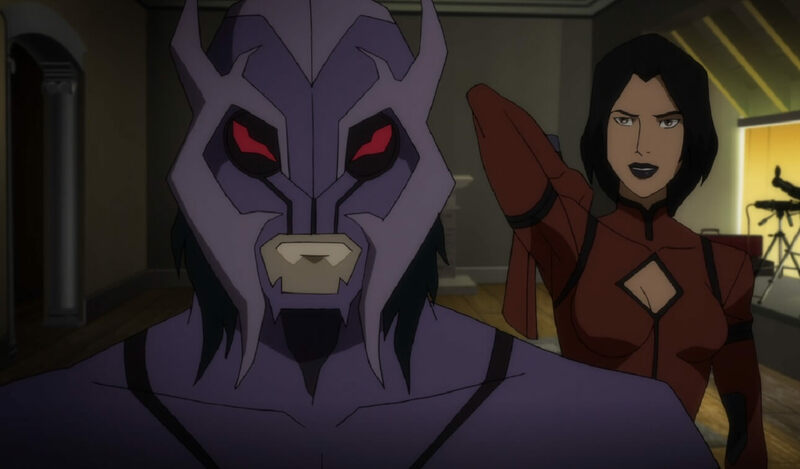 We’ve seen all the struggles Conner and Megan had in first getting together, then watched in pain as they were apart during Young Justice: Invasion. Fans have waited years to see these two work things out, and starting the season off with an engagement was the perfect way to reward viewers after the long hiatus. Of course, when it comes to superheroes, something is always waiting around the corner to ruin their happiness. So let’s celebrate Conner and Megan’s engagement, and hope that it results in many years of wedded bliss. In “Rescue Op”, Brion, Violet, and Forager sneak off to Infinity Island hoping to find Geo-Force’s missing sister Tara. Instead the trio find themselves outmatched against Sensai, Ra’s Al Ghul, and an army of ninjas. 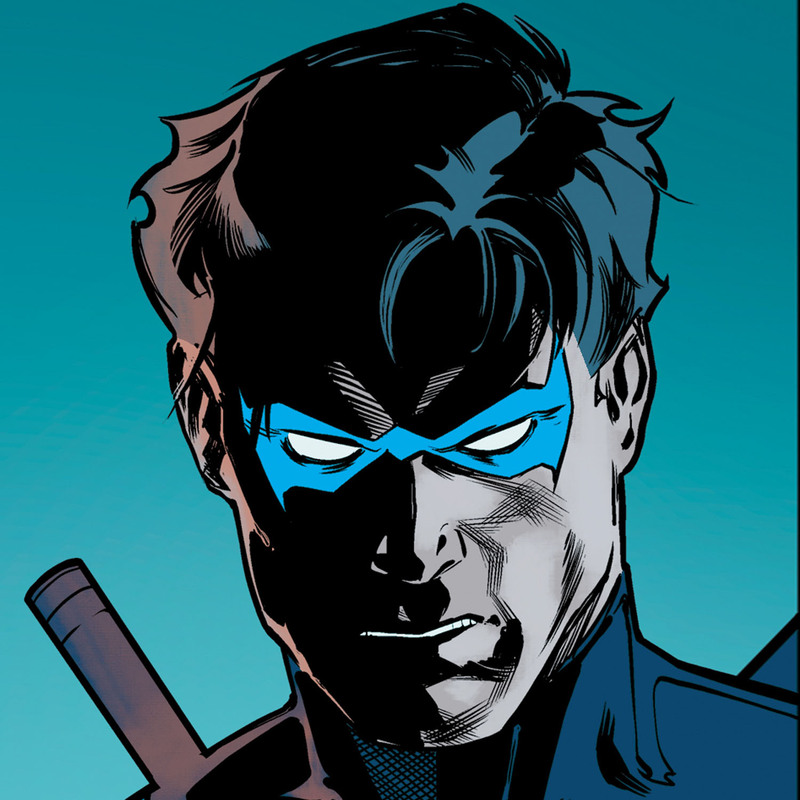 Nightwing and the others quickly realize the trio were missing and followed them to Infinity Island. The stage is set, and a massive free-for-all results! Sensai kills Halo, causing an infuriated Brion to let loose before she’s revived. 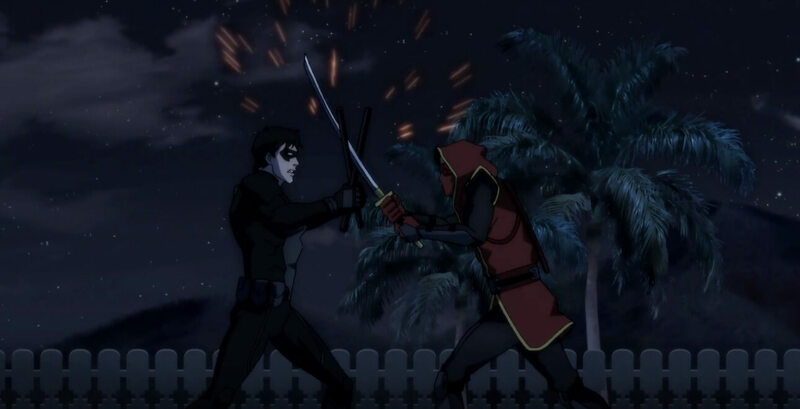 And Nightwing fights a red-hooded ninja whom some fans speculate might be Jason Todd... The battle was brutal, action-packed, and notable for being the first time Geo-Force, Halo, and Forager fight side by side. When Ra’s allows the Team to leave unharmed, viewers are given another surprise when they’re treated to a cameo from baby Damian Wayne. Yup, this sequence had it all. In the episode “Home Fires”, we learned that the parents of the superhero community have their own support group. Unfortunately, the Ocean Master also learned of this and saw it as the perfect way of exacting revenge for his six-year incarceration. Before he can fire his lethal weapon and destroy the unsuspecting families, he’s confronted by Lady Shiva. The Light’s new enforcer, Shiva informs Orm the League’s enemies considered this option for years, but knew it would result in mutually assured destruction. When Ocean Master tells Shiva he won’t be denied his revenge, she make quick work of him, killing him in seconds. The aftermath is chilling, as Shiva silently removes all evidence of their encounter, while children continue to play across the street, unaware of how close they came to death. The sequence becomes more alarming when one considers its implications. The Light knows the secret identities of the Justice League, and could strike against their families at any time. Will the League learn this information before it’s too late? We saw Victor Stone’s horrifying transformation from man to machine in “Another Freak”. After an emotional argument between Victor and his father Silas, a lab explosion throws both of their lives apart. We’ve witnessed Cyborg’s origin in other stories, but it’s never looked this brutal. Victor’s body is completely destroyed, and viewers can’t help but feel Silas’s pain as he tries everything to save his son despite his colleagues telling him it's over. 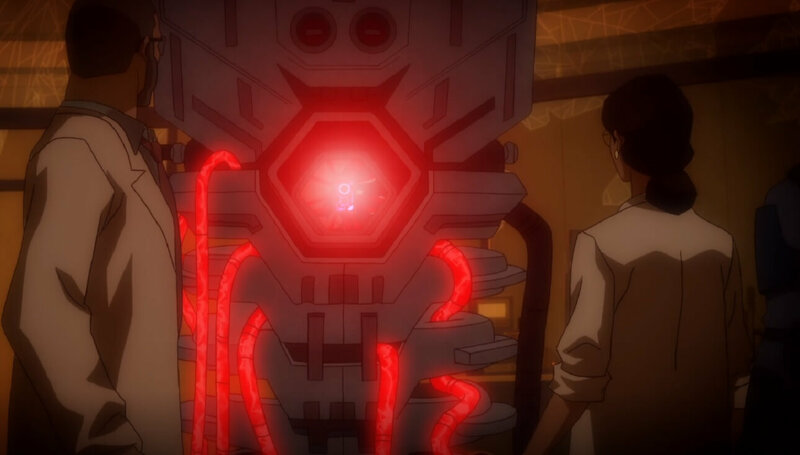 After Silas heals Victor with the Father Box, the episode quickly turns into a horror movie as Cyborg attacks his father. Thanks to the intervention of Halo, however, disaster is averted. But this sequence ws a roller coaster ride fans won’t forget anytime soon! A quick look inside Goode VR Goggles gives Gar Logan more than he bargained for in “Nightmare Monkeys”. Beast Boy winds up going on a surreal vision quest, which fills in some missing pieces of his backstory, as well as bridging the gap between Young Justice: Invasion and Young Justice: Outsiders. 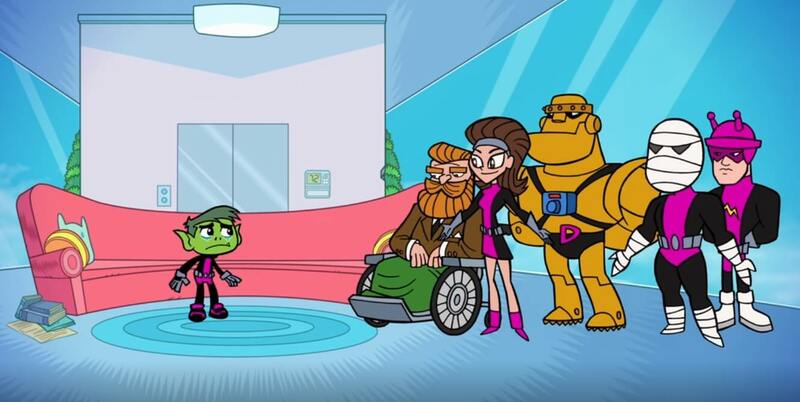 Viewers got to learn about Gar’s days with the Doom Patrol in a hilarious parody of Teen Titans Go! The cast of Teen Titans Go! even lent their voices as the Doom Patrol, complete with a reworked version of the theme song. While the parody was hilarious, it was also dripping with tragedy; as Garfield tried in vain to stop his second family from going off to face certain death. The entire sequence, complete with a cameo from Wally West, left viewers laughing and crying at the same time. 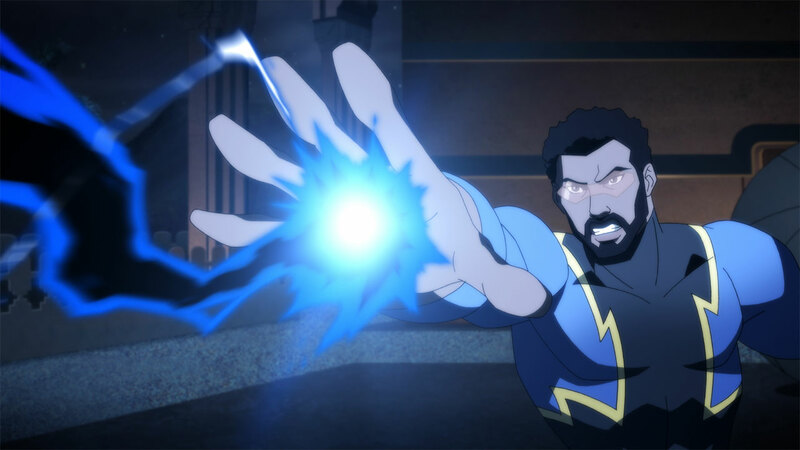 What's your favorite moments from Young Justice: Outsiders so far? Let us know in our Community!